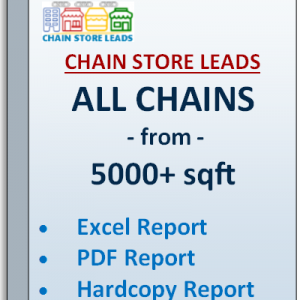 Chain Store Leads offers several three options to choose chain store lists and lead information. 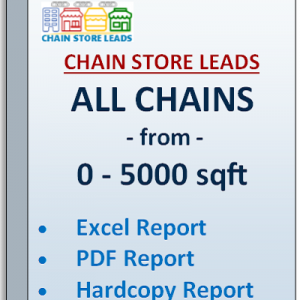 1) By 0 – 5000 sqft 2) By 5000 + sqft 3) 0 – 2500 sqft and 4) 2500 – 5000 sqft. 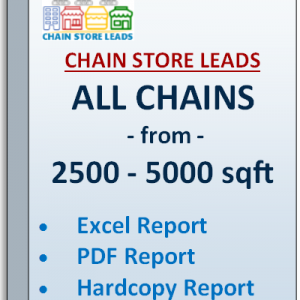 Combined, there are approximately 2000 companies and approximately 40 categories of chains.